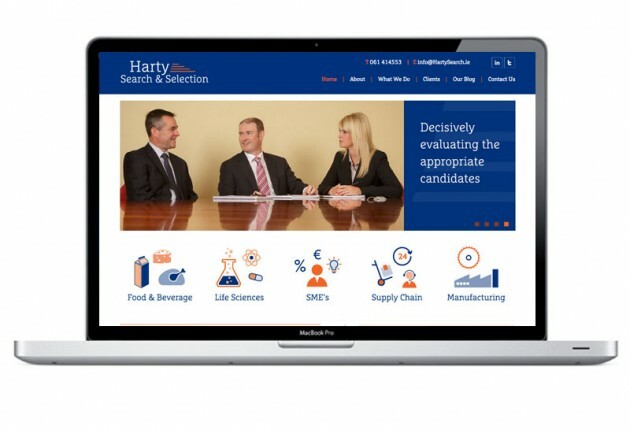 Click here to read more about the rebranding of Harty Search & Selection. 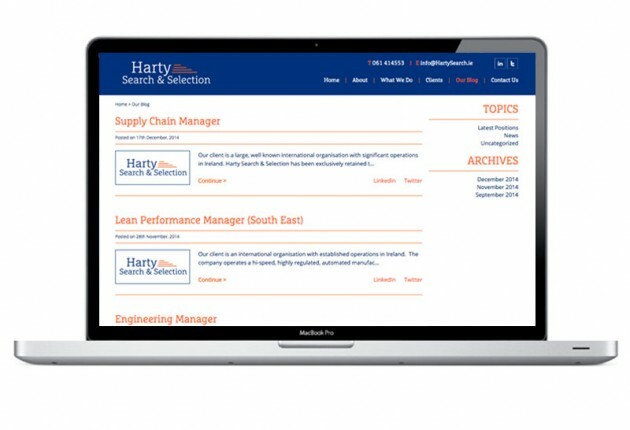 The new brand values and personality traits for Harty Search & Selection reflect the fact that the business is established and in operation an impressive 30 years this year. As consultants in the tricky search and selection process, their approach is robust and detailed and they have excellent research capabilities to identity potential candidates for their clients. Consistency is always key to rebranding and we opted for the reverse version of the identity for the banner header consistent with the previous points above. This strong navy colour signifies the brand’s authoritative industry stance and their three solid decades in business. The warm red colour reflects the personal service that the team consistently provides to their clients. These contrasting colours were easy to apply the new website. As always, the key to any website is designing a coherent wireframe which is easy to navigate and communicates specifically for the Client, focusing on their unique selling points. 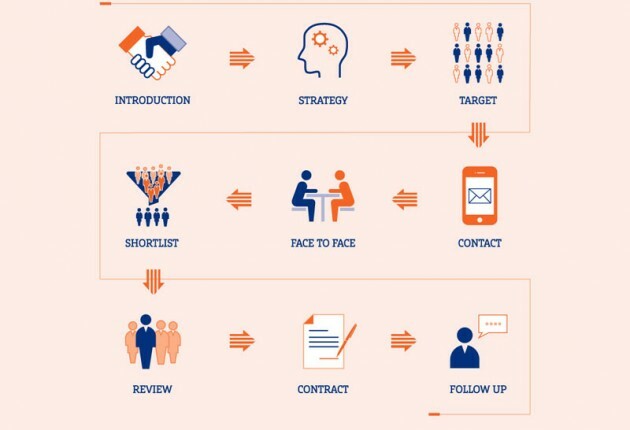 As part of the navigation, we established the five key client sectors and we also designed the icons and the Harty Search & Selection process infographic for the website which communicates clearly how the team works through the process from start to finish. Log onto www.hartysearch.ie to view their website.